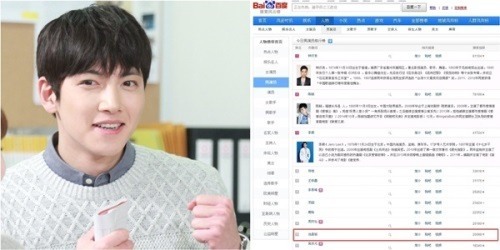 On Tuesday, he became the most searched Korean actor on the Chinese portal Baidu, and among the top 10 overall actors. Even considering celebrities from other professions, Ji is said to be one of the most popular names searched on Baidu. The “Healer” is aired on KBS2 in Korea, and also through a website in China. In “Healer” Ji plays a mysterious odd-job man skilled in martial arts, whose past is entwined with that of Park Min-young’s character Chae Young-shin. His rising popularity is also thought to be fueled in part by his efforts to communicate with fans in China. Ji recently opened an account on the Chinese social networking service Weibo in an attempt to expand his presence in China. “There have been many inquiries for casting (Ji) in both Korea and China. He is trying to expand his field of work,” an associate of Ji was quoted as saying by the Korean media.